Western Australia’s leading Chemical, Occupational Hygiene, Microbiological and Molecular Diagnostics laboratory group. For over 30 years the ARL Group has been a proudly WA Owned and Managed business, with a reputation for providing technical excellence, service quality and commercial value to its clients. Learn more about us or browse our Services below. 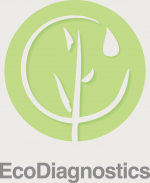 EcoDiagnostics is an innovator in Molecular Diagnostics, operating from a state-of-the-art fully automated laboratory.